Why are we always fighting against the people we should be fighting for? 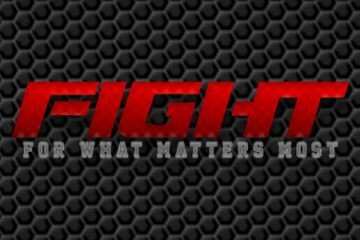 Special Guests Clayton and Sharie King kick off a new series called ‘Fight’. As we continue our series called ‘Fight’, we look at how we can communicate with the people that matter most to us. How do you fix a broken relationships? This Sunday we learned how to seek reconciliation by building bridges in our relationships, not walls. Watch our message to learn more about fighting for the relationships that matter most. Pastor Billy Starkey leads week 3 of our series called ‘Fight’ and talks about the biggest fight our church is facing – the fight for the next generation. Join us as we wrap up our ‘Fight’ series and discover how we can fight for the heart of our children.